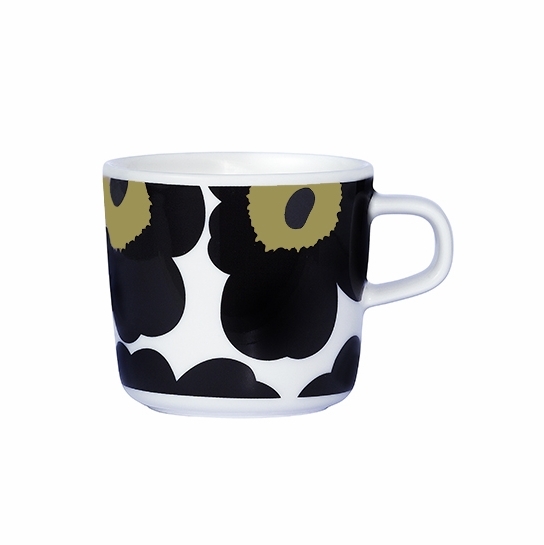 More about Marimekko Unikko Black Coffee Cup If you need a pick-me-up, reach for the Marimekko Unikko Black Coffee Cup; not only will the caffeine boost wake you up, but the cheerful poppies will instantly lift your spirits. Maija Isola's iconic 1964 Unikko pattern has brought us joy for half a century. 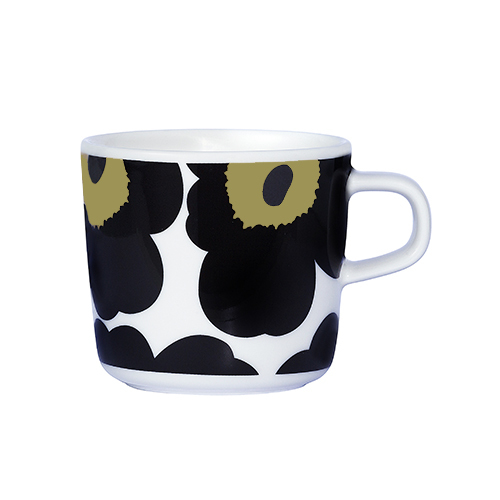 Holding just under 7 ounces, the Marimekko Unikko Black Coffee Cup will deliver the perfect portion of espresso with a pretty presentation. black unikko pattern is so pretty.